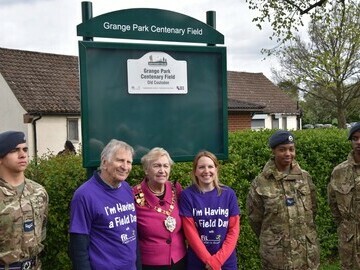 Centenary Fields aims to protect war memorial playing fields, parks and green spaces in memory of those who lost their lives during World War I.
Grange Park, in Old Coulsdon, is now protected forever by Croydon Council as a Centenary Field following a campaign by the Friends of Grange Park. 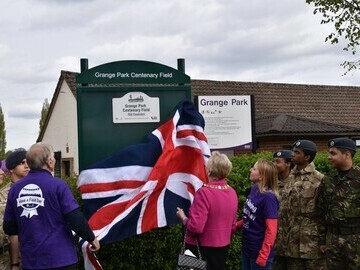 A dedication event took place on Saturday 15th April as part of the “Easter Eggstravaganza” community day; a memorial plaque was unveiled by Deputy Mayor, Toni Letts. This national programme is a unique way to commemorate the centenary of World War I. 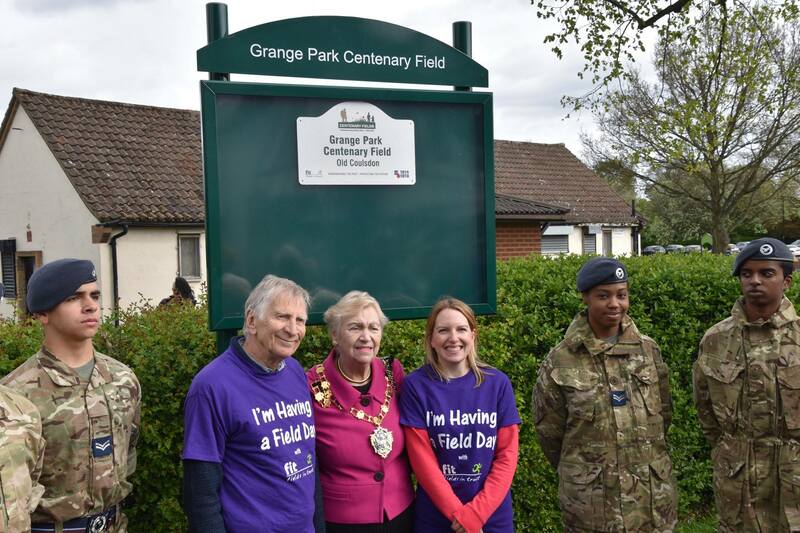 It gives landowners such as Croydon Council the opportunity to dedicate space to remember the sacrifices of those who gave their lives during the conflict, but also to ensure that future generations have valuable green space to enjoy as a living legacy. 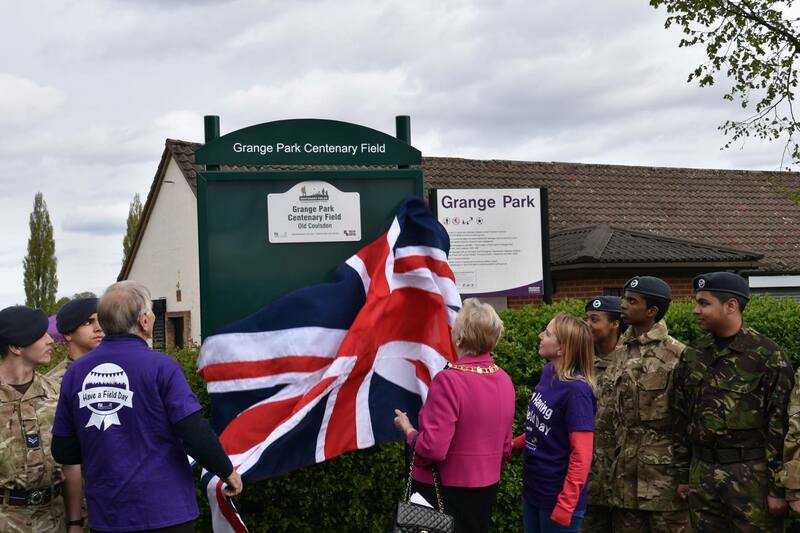 Centenary Fields protected through the programme can be war memorial parks or recreation grounds, memorial gardens, parks and recreation grounds that contain war memorials or other significant green spaces. HM The Queen has been Patron of Fields in Trust for 60 years; HRH The Duke of Edinburgh was President for 64 years and succeeded by HRH The Duke of Cambridge in 2013. The Duke of Cambridge has also been the Patron of The Queen Elizabeth Fields Challenge. Landowners across the UK can nominate outdoor recreational spaces with a relevant connection to WWI. For example the parks, playing fields, memorial gardens or village halls with grounds could contain a war memorial or have some other significance to WWI.